Dallas had a snow week. Schools have been closed for days. Roads are icy. Pipes are frozen. People are hungry. 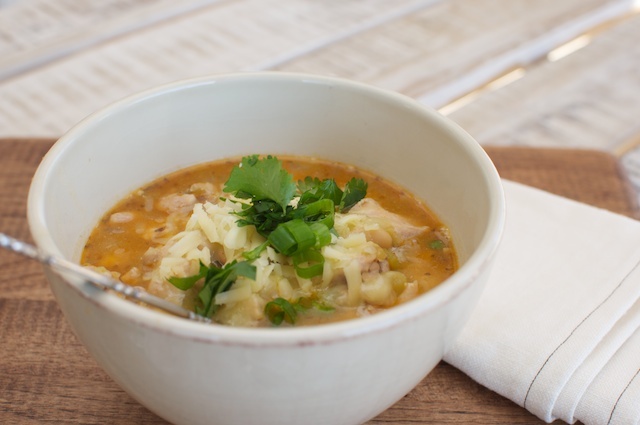 This is a classic white chicken chili to warm your bones originally featured in Cooking Light. There are a hundred recipes for similar chilis, and this one isn’t superior. Just an easy reminder of how good chicken chili really is. Heat a large skillet over medium heat. Add chicken to pan and brown chicken, cooking completely. Remove from heat. In a large Dutch over, over medium heat, add onion and stir frequently until tender. Add garlic and saute for 2 - 3 minutes. Stir in cumin, oregano and coriander. Add chilis, chicken, beans and broth and bring to a simmer while covered for 10 minutes. Stir in hot sauce. Add additional broth until desired thickness. 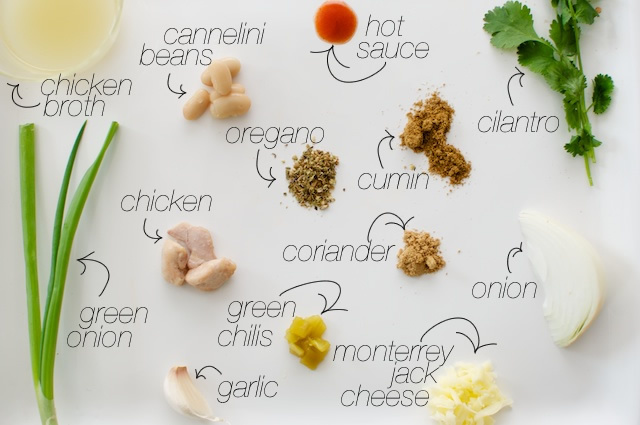 Serve into bowls and top with cheese, cilantro and green onions.